Achieving life changing results for disadvantaged youth in rural communities with a program offering a safe environment and a sense of purpose. BackTrack employs an innovative model of engagement and community connection through programs that support the development of real life skills and pathways to employment for young people at risk from substance abuse, suicidal ideation, criminal behaviour and educational disengagement. In order to address the social problems and plug critical service gaps that currently exist in rural communities, BackTrack pitched for support of a residential program that addresses deficiencies in the out of home care system, offering care in a safe and nurturing ‘home-like’ environment on a full time basis, having a significant impact at times of highest risk of anti social behaviour and most importantly the safety of young people. When Tyson got on stage at TFN Live in Sydney to speak with Bernie Shakeshaft, Founder of BackTrack, he shared with the audience an anecdote of his family’s typical family get together, which often involved drugs, alcohol and violence. He had nowhere to escape and ended up living on the streets; in parks and abandoned houses witnessing things no child should ever see. BackTrack believes that before you can start helping these kids you need to start with the basics: shelter. At TFN Live, Bernie pitched for critical funding to keep the Warrah Residential program open over the weekends, so the kids staying there didn’t need to leave every weekend and re-enter their dysfunctional or dangerous living arrangements. Not only did Bernie raise enough to keep it open over the weekends, they also were able to renovate it to increase capacity and as promised – some of the money went to Tyson’s development. Below is BackTrack’s update on how Tyson is going. 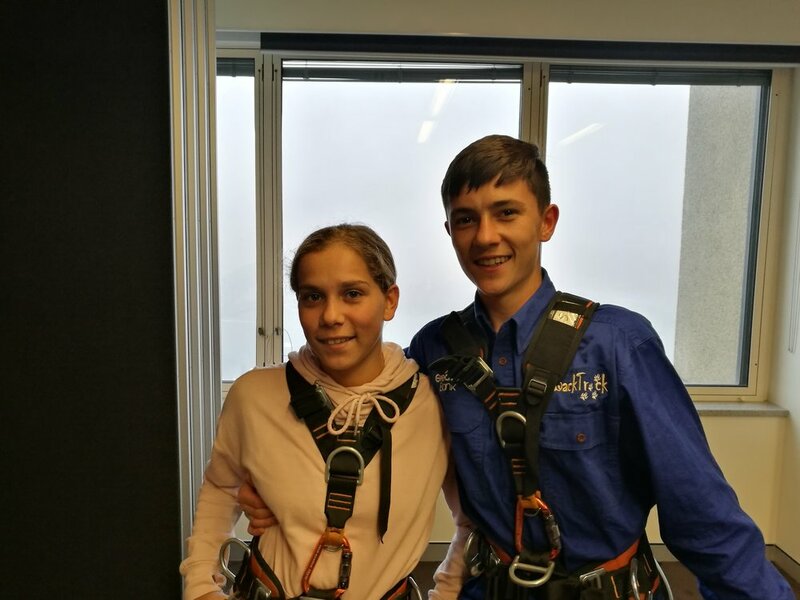 "Tyson is one of the young people involved with BackTrack Youth Works who has benefited directly from the funding and support from TFN’s community. Tyson first started attending BackTrack in 2011 when he was 13 years old. At the time he had completely disengaged from school and his family had broken down. He was on track for a lifetime of crime, homelessness and drug and alcohol dependency. Over the past six years, Tyson and BackTrack have never given up on each other. The journey together has had many challenges but Tyson has increasingly found purpose within himself and his community. His involvement with the justice system has been considerably reduced and he has obtained year 10 schooling qualifications despite never finishing year 7 in the traditional schooling system. Tyson is now actively involved in BackTrack and has enjoyed some incredible achievements including presenting at TFN, and subsequently presenting at major partnership development meetings, engaging with potential funders for the organisation and giving TV and radio interviews. He has also been working part time on a casual basis as a house parent at BackTrack’s Residential home that provides accommodation for up to 8 boys at a time. Thanks to the support of the donors and the tireless effort of the BackTrack team, these young people are getting their lives back on track.